There’s no better way to ring in the New Year than with good company and delicious food! 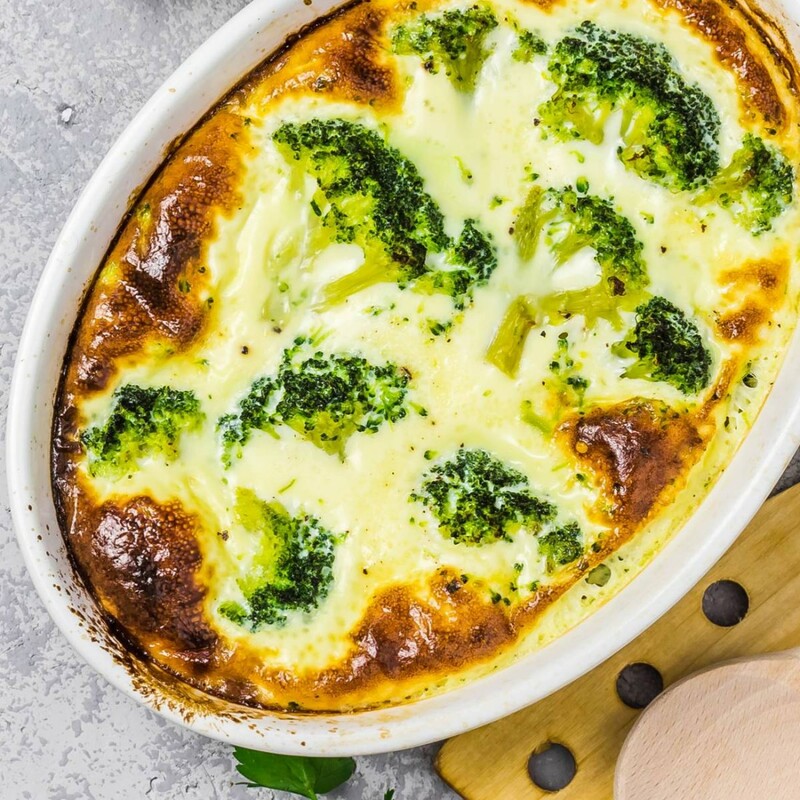 Whether you plan to stay home with family or attend a party with friends, chances are that you’ll need a good recipe or two for this special occasion. 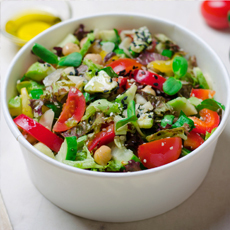 While you might be tempted to use ingredients that are high in fat and sugar, we here at Green Valley believe that the most delicious dishes can also be the healthiest! To prove it, we’ve compiled a list of our eight favorite New Years Eve appetizers — they’re tasty, easy-to-make, and best of all, good for you! Every holiday celebration should start off with a delicious dip! This New Year’s Eve, wow your friends and family with a high-protein recipe made with organic Green Valley Black Beans and Goat Cheese. 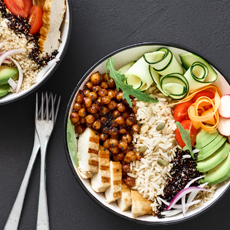 Full of fiber and flavor, your guests won’t even believe that it’s healthy. 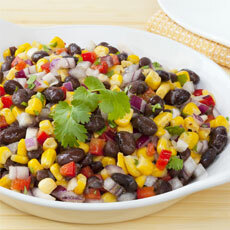 No need to waste money on store-bought salsa — this homemade corn and black bean salsa recipe is affordable and absolutely delicious. Crafted from organic Green Valley Corn and Black Beans, this salsa will add the perfect amount of freshness to your New Year’s Eve spread. Surprise your friends and family with an untraditional take on nachos made out of apple slices. Topped with high-fiber oats and drizzled with chocolate, this recipe is ideal for anyone with a sweet tooth! 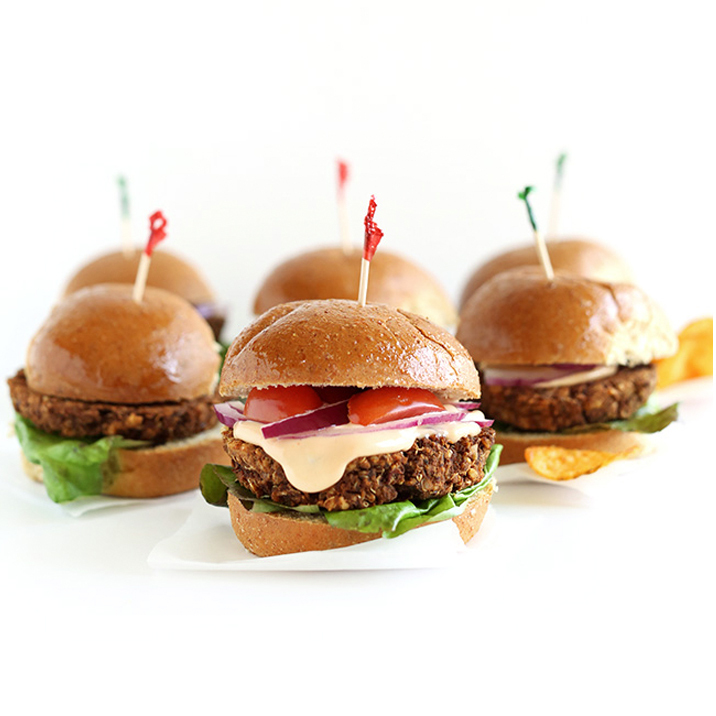 You don’t have to be a vegetarian to go crazy for these veggie burger sliders! With only 7 ingredients, they may be mini, but pack a major flavor punch. Made with high-protein organic Green Valley Beans, these sliders will leave everyone full and delighted. Make your New Year’s Eve even more memorable with these bacon-wrapped green beans! This recipe pairs crunchy bacon and organic Green Valley Green Beans together for a bite-sized appetizer that is not only delicious, but nutritious as well. Looking to elevate your New Year’s Eve menu? 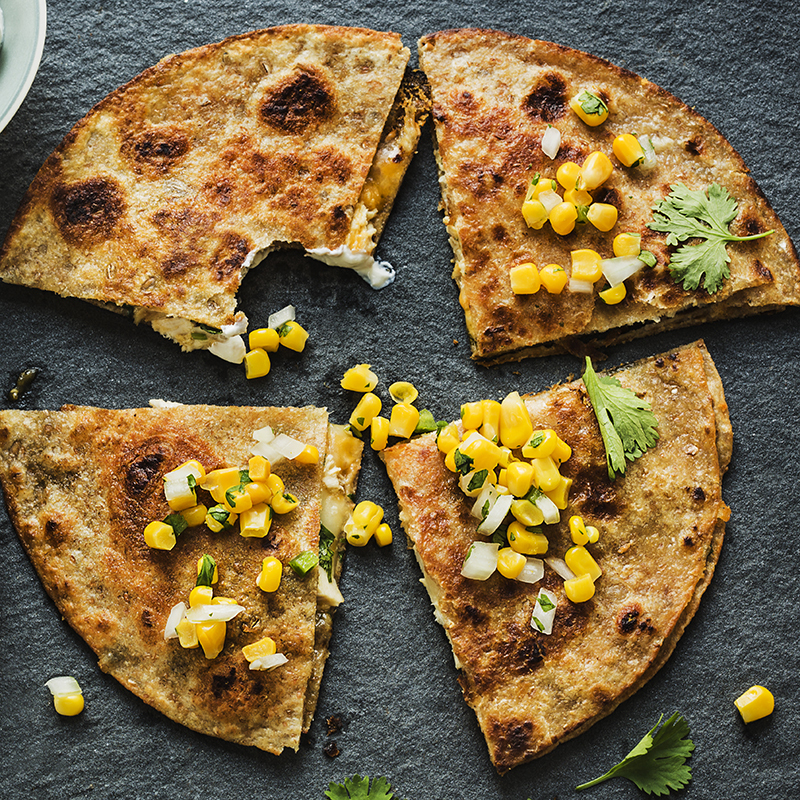 These Chicken Quesadillas will do the trick. Stuffed with zesty chicken and topped with fresh salsa made from organic Green Valley Corn, your friends and family will be thanking you for this delicious, low-fat appetizer! If you’re leaning towards buying store-bought apps, this simple hummus recipe is perfect for you! With only 10 minutes of prep time, this recipe is even easier than running to the store. Plus, you can make ahead of time and store it in the fridge. 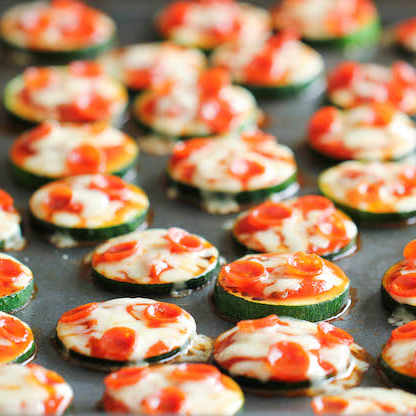 Pizza lovers will get a kick out of these bite-sized zucchini pizzas. This recipe still has all the flavors of traditional pizza, but replaces the crust with sliced zucchini. It’s a win, win — lower in carbs, but higher in nutrients. 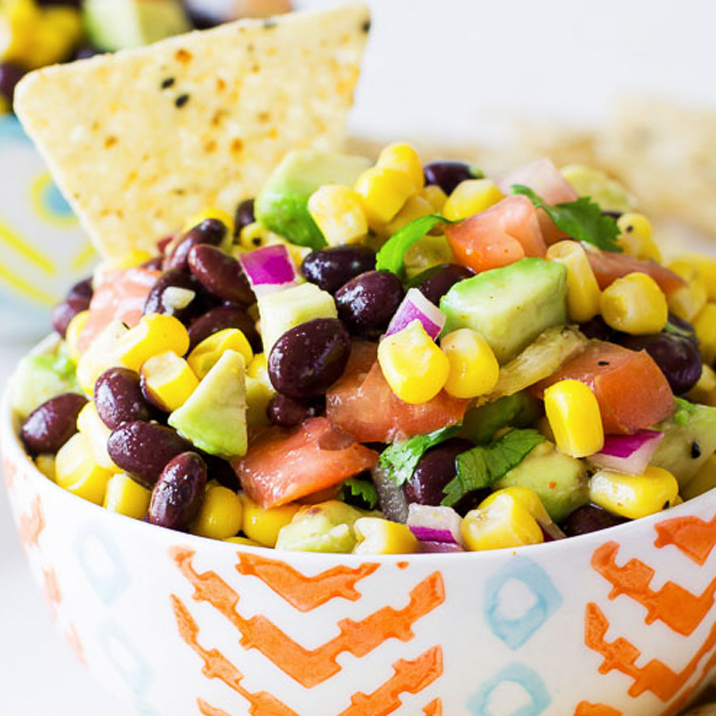 These eight appetizers will be sure to show how delicious healthier appetizers can be! We’d love to hear which recipe was the biggest hit on New Year’s Eve. Share your story with us on Facebook or Instagram, and have a happy and healthy New Year!